I have a project that involves this keyboard, it has 12 sections on the pcb marked UX (X being 1-12) for what I guess are for leds. If I'm correct what kind of led would I buy for it? Something like this? The leds (NeoPixel) in the link you have shared will work with the PCB you have. Also, just take a quick look at this forum. There the people suggest that if you use the plate that comes with the kit, the leds won't shine through much. You will be better off using some translucent acrylic plates. 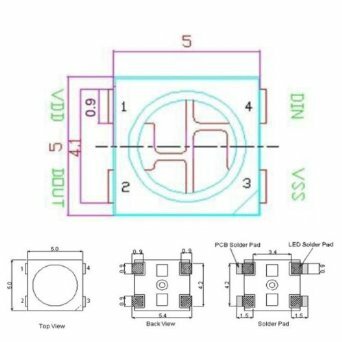 You should test the polarity on the pads and align the leds with the help of following pin diagram. 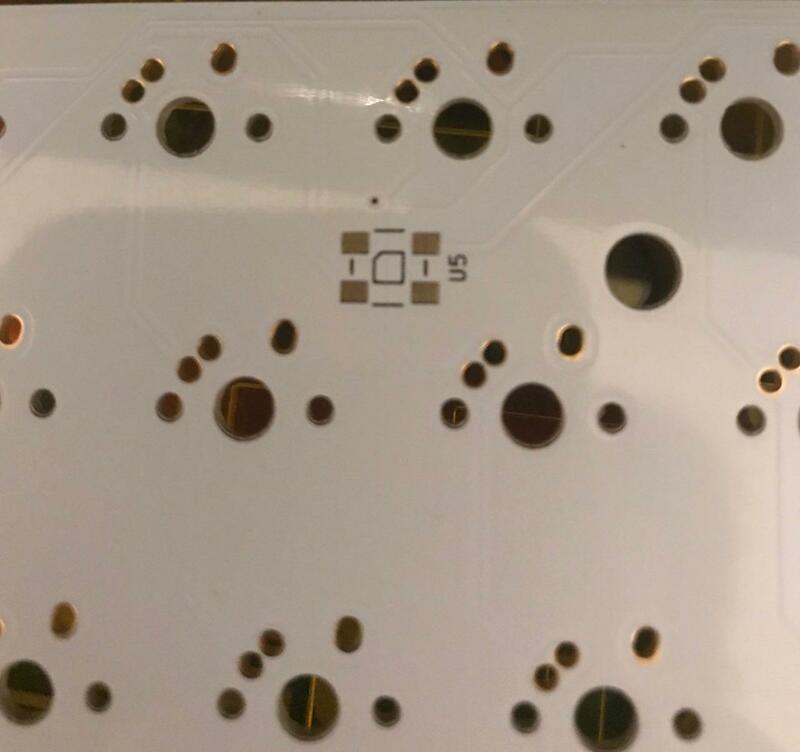 Also, just check if you are getting 5v on the pads before soldering on the leds. Not the answer you're looking for? Browse other questions tagged led keyboard or ask your own question. How would I use this 12 key keyboard? What kind of transformer was used in this led driver? What kind of LED do I need?